10 YRS Ruian City Furi Packaging Machinery Co., Ltd.
2 YRS Qingdao Xinruide Machinery Equipment Co., Ltd. 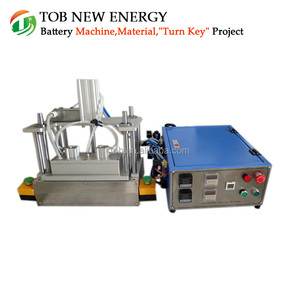 Hot Sale Battery Aluminum Foil Vacuum Pouch Sealing Machine PRODUCT INFO Specification 1 The battery pouch vacuum sealing machine TOB-JK-200 is mainly used for sealing aluminum-laminated case in glove box after injection of electrolyte into pouch Li-ion cell or after formation for final seal (polymer Li-Ion cell). 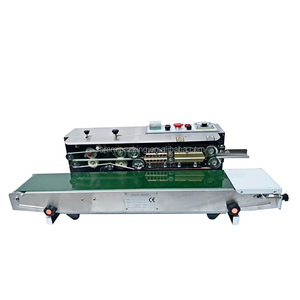 2 The vacuum sealing machine is with sealing machine and control box separately design, When used for pre-sealing, the sealing unit can be used in the glove box. 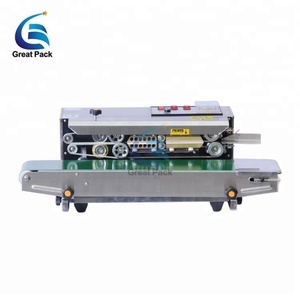 3 For final sealing, it can be used for lab or small quantity producing, if with production line, Suggest use the vacuum sealing machine for final pouch. 2. 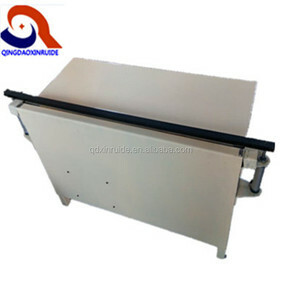 Either under set length control or photoelectric color tracing, bag length is set and cut in one step. The training content includes the structure and maintenance of the equipment, control and operation of the equipment. We will offer a widely and favorable technical support, after service all the time after guarantee period. 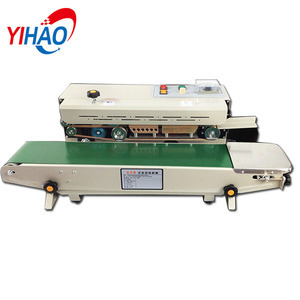 2 YRS Wenzhou Echo Machinery Co., Ltd.
ZY automatic aluminum foil plastic bag paper pouch sealing machine This series of sealing machine adopts electronic constant temperature control and stepless transmission system, with automatic continuous sealing, printing product label, a complete function. The main structure and working principle: 1, this machine by the rack, speed reducer, transmission mechanism, heating radiator, seal imprint, conveying equipment, electric and electronic control system components, etc. Electric heating element after the electricity heating, make up and down heating blocks are rapidly growing and access control system to adjust to the required temperature; Embossing wheel rotation. 5. Ultrasonic Sealing Machine power source for the pneumatic, working steady, not easy to damage, customers can rest assured use. 3. Large Ultrasonic output power to ensure the sealing quality of various tube size and material. We will solve any problem you meet during the installation and packing production in time. Q5: Do you support OEM/ODM9 Yes, we can develop the styles base on customer&rsquo;s requirement. Q8: How to visit you9 We are located in Wenzhou, 20 minutes to airport. Any more question, please feel free to contact below or leave message on alibaba. 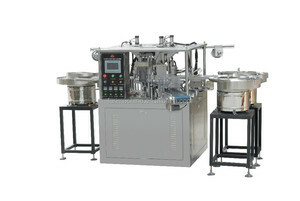 Alibaba.com offers 236,833 foil pouches machine products. About 28% of these are other packaging machines, 1% are filling machines, and 1% are bag making machines. A wide variety of foil pouches machine options are available to you, such as free samples, paid samples. 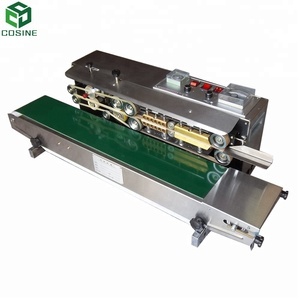 There are 236,833 foil pouches machine suppliers, mainly located in Asia. 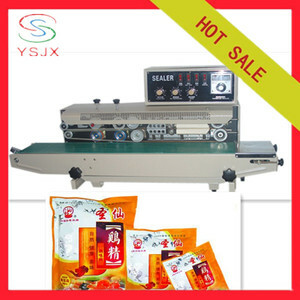 The top supplying country is China (Mainland), which supply 100% of foil pouches machine respectively. Foil pouches machine products are most popular in Domestic Market, South America, and Mid East. You can ensure product safety by selecting from certified suppliers, including 202,516 with Other, 18,151 with ISO9001, and 7,522 with ISO14001 certification.